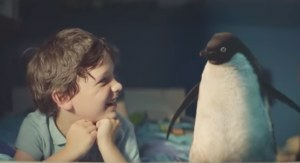 An effective ad campaign is John Lewis' Monty the Penguin. Marketers need to focus on long-term campaigns that drives pure emotion to be profitable with television the most efficient media channel, System1 Group CEO John Kearon has warned at the AANA’s Reset conference. 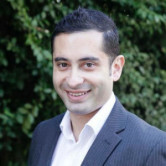 Kearon is an expert on advertising effectiveness and has developed a star-rating system that predicts how effective creative will be by assessing the three 'fs' – fame feeling and fluency. He says that one-third of advertising may as well be thrown on the bonfire. This wastes an incredible $220 billion each year – a value that dwarfs the GDP of New Zealand. “Long term advertising that creates the most profitability is pure emotion,” Kearon says. “Short-term advertising is more message driven, it can create a short-term lifts in sales, but not profit over time. Kearon points out that ad campaigns these days lack fluency; this is big messages that are frequently repeated over a long period of time. He says over the past decade fluent marketing assets have declined from 41% of campaigns to about 12%. “Everything is becoming more sales-oriented, less creative – bring back distinctive devices,” Kearon pleads. Examples of ads that do it well include the John Lewis Christmas ads and a Coca-Cola ad in Argentina (see below). Another interesting insight from his presentation is the propensity of creatives to value novelty. In a study of how many ads creatives could identify as four or five (out of five) stars, creatives named twice as many good ads as the general population, but also put forward twice as many flops – one-star ads in terms of effectiveness. This is because creatives like novelty, or ads that are out of the ordinary, but this doesn’t always work. CMOs proved to be no better at the study than the general population. The lesson: “CMOs are no better than ‘random’ at predicting which ads are commercial hits and misses,” Kearon says. “If you and the creative team have been working on something for a year, you can’t then kill the ‘baby’. Kearon said television is the most efficient advertising platform to reach a lot of people. “The trouble with digital content and only measuring the short-term effect of it is exactly that. It may drive a short-term result but then it goes back to zero. “However, digital content that makes people feel things probably won’t get as many results immediately but it will deliver over the long term. “TV is still the most efficient way to reach a lot of people. “When you don’t have a big budget what do you do? Dollar Shave Club managed to do it, but you do need to be brave. He concluded by urging marketers to avoid investing in ad campaigns that delivered one or two stars – which will always be unprofitable. “If you make people feel something, the great thing is that there is no limit to how much human beings can emote. It will have a bigger impact on profitability,” Kearon said.